Netflix is such a juggernaut that it added "only" 5.2 million subscribers last quarter, and everyone is hitting the panic button. The streaming company gained about 1 million fewer customers than it had expected. It now has about 130 million customers worldwide. The media industry has turned itself upside down to do battle with Netflix. Cable companies and movie theaters are losing customers in droves. They'd all love to have the problem that Netflix had last quarter. 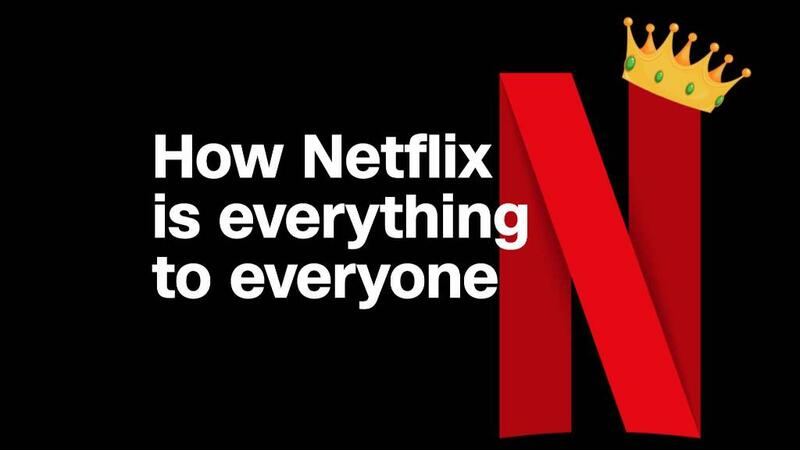 Yet Netflix's stock sank about 13% in after-hours trading Monday. In a letter to shareholders, Netflix (NFLX) said it had a "a strong but not stellar" second quarter. What's "not stellar" for Netflix? $384 million in profit (up six-fold from a year ago), on $3.9 billion in sales (up 40%). Hollywood would kill for that kind of growth. Yet sales missed Wall Street analysts' expectations. Monday's stumble brings Netflix just a little closer back to Earth after a phenomenal first quarter. On conference call for investors Monday, CEO Reed Hastings noted that the company has missed on subscribers before. He attributed such snags to a "lumpiness in the business." Part of the reason Monday's misses might have hit so hard is because Wall Street's expectations are so lofty. Netflix is an extremely expensive stock — at market close, it was trading at $400 per share. That's about 237 times Netflix's future earnings estimates. The S&P 500 currently trades at 22 times earnings, and the average media industry stock is worth just 14 times earnings. Some analysts are growing wary. Last week, Instinet analyst Mark Kelley set a price target of $370 for the company, noting that he was worried about the increased competitive landscape. UBS analyst Eric Sheridan wrote last week that he thought investors were ignoring the risk that rivals could eat into Netflix's share. He cut his target price on Netflix from $425 to $375 as a result of his concerns. In another note published after earnings were released, Sheridan said investors "will likely hit the pause button." In its letter to shareholders Monday, Netflix acknowledged that it expects to face more competition going forward, including from AT&T (T), which now owns HBO, Warner Bros. and CNN. Disney (DIS) is also planning its own streaming service, which is expected to launch in 2019. It is close to finalizing a deal for the movie studio assets of 21st Century Fox (FOXA). Disney would also inherit Fox's share of Hulu if that deal goes through, giving it a majority stake in that streaming service. "That's all normal and expected," Hastings said of his competitors. His company also pointed out that Amazon (AMZN) and Apple (AAPL) are investing in content, too. But the letter painted all that competition as a potential positive. "We believe that consumer appetite for great content is broad and that there is room for multiple parties to have attractive offerings," the company said in the letter. "Our strategy is to simply keep improving, as we've been doing every year in the past." Even some Netflix bulls painted this quarter as a rough one. Daniel Ives, an analyst at GBH Insights, called the newest report a "near term gut punch" in a research note released late Monday. Ives pointed to the company's miss on international subscriptions as particularly concerning. That's the area where Netflix is trying to grow the most — of the 5.2 million subscribers it added last quarter, about 4.5 million were overseas. Still, Ives said he would keep his $500 price target on the company. "While the knee jerk reaction will clearly be negative from the Street's perspective, we would be buyers of Netflix on this weakness," he wrote.